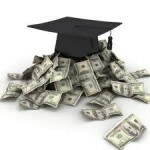 Degrees that Pay : Top College Degrees – resources and news on degrees, financial aid, and more! College can be costly, but some programs of study in particular almost guarantee increased earning potential down the line. Here’s a quick look at some degrees that are worth their weight in gold! Marketing managers are specific to their area of business and typically find employment in large companies (or any company with a marketing department large enough to need a dedicated manager). Though the employement opportunities for marketing managers might not be as vast, they normally earn a substatial salary due to the value that they’re able to bring to a business. Most marketing managers at large companies are at least required to have a Bachelor’s degree to obtain a management-level position. Sales Managers are often required to have a Bachelor’s degree at most corporations, though this may be determined on a case by case basis. What is required of sales managers is the ability to sell a product, manage people, and understand the inner workings of the business that they’re directing. Sales managers often work in an office, but frequently travel and work long hours and weekends. Financial managers are responsible for managing and maintaining the financial outlook for companies. They analyze financial data and determine the proper financial direction of a company. Most work full time, and because of the nature of the position often work long hours. Computer hardware engineers work to fix technical problems with hardware devices – servers, switches, routers, and more. Typically those that earn higher salaries work with large technology companies to fix problems with enterprise-scale servers and other hardware operations. A Bachelor’s degree and sometimes additional special certifications are required for this positon. Due to the nature of the work, hardware engineers may be required to work long hours and often operate in high-pressure time-sensitive environments. Most judges and mediators work in a court. They’re responsible for overseeing the legal process in courts and meeting with parties involved in legal action to resolve their disputes. The may also work to negotiate terms between two opposing parties. Though it may be possible to enter into a role in this profession with a Bachelor’s degree, a law degree is usually obtained. Economists study the production and distribution of goods and services. Most work for large corporations or public institutions, and often work during the normal work week. To become an economist at least a Bachelor’s degree is required, though it may be helpful to pursue advanced degrees to improve employability. Although a computer science degree program can be a challenging path to take, the payoff is huge: students majoring in computer science can expect a great starting salary and opportunity outlook. Senior programmers can earn 6 figure incomes and normally enjoy great perks and flexibility (telecommuting, flexible hours, etc), and systems analysts are in high demand around the globe. Endless demand, great benefits, great pay, and serious importance make nursing online degree programs a growing choice for students who are interested in a fast paced position poised for huge growth. Nurses often enjoy shorter work weeks and other incredible perks as well. Furthermore, the demand is so high that students can often received 100% reimbursement for courses. There’s a strong demand for students who earn a degree from an accounting degree program – and those who are generally math and money minded will find a promising future in accounting with a promising starting salary to match. Employees in the accounting department often find a relaxed, comfortable environment to count the coin as well. Actuaries are often paid more than accounts, but are often required to work longer hours and travel to meet clients. Information Security Analysts are in increasingly high demand due the the proliferation of hacking and the increasing value that large companies around the world are placing on data protection and redundancy. Although the road to becoming an information security analyst can require extensive training and a degree in computer information systems, security analysts enjoy great pay and the ability to work in almost any domain due to their increasing demand.